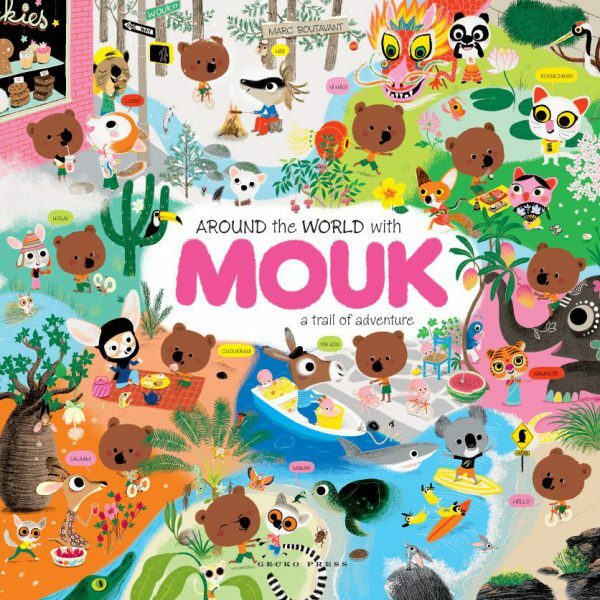 Mouk is off on a world tour! He learns a lot on his trip, sending postcards to his friends along the way. An optional sticker game is included.